QUETTA: Chief of Army Staff (COAS) General Qamar Javed Bajwa on Wednesday addressed officers and the faculty of Command and Staff College, Quetta. The army chief said that great sacrifices laid down by the security forces and the nation have enabled Pakistan to finally move towards peace and stability. “The job is not completed yet and we have to carry forward the gains towards enduring peace,” he added. Acknowledging and hailing the contributions made by young officers in the operations against terrorism, General Bajwa advised them to continue pushing towards excellence in their profession. 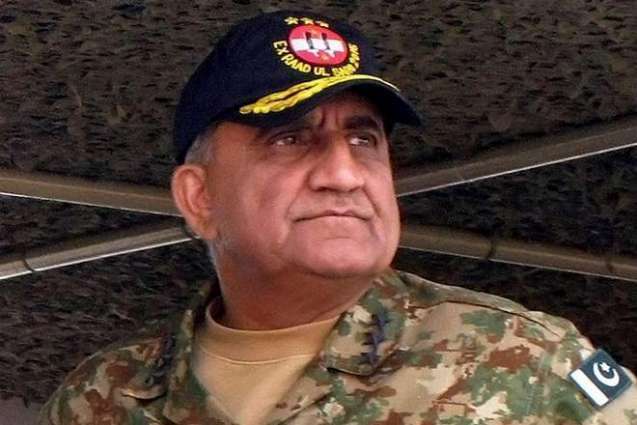 Later, the army chief visited the Headquarters Southern Command, Quetta where he was briefed about the progress of border fencing along the Balochistan portion of Pak-Afghan border, Quetta Safe City Project and ‘Khushal Balochistan’ initiative. Bajwa expressed his satisfaction on the progress of the socio-economic and security initiatives in the province.